The Neighbourhood Club program (the“Program”) allows you to earn rewards in connection with your points collected at Park Grocery Deli & Bar and to redeem those cumulative points for rewards (collectively,“Rewards”), as provided in these“Terms and Conditions.”Please read these Terms and Conditions carefully, and keep them with your records. By enrolling in the Program, you agree to these Terms and Conditions, as they may be modified from time to time in our sole discretion. This Program is void where prohibited by national and/or provincial law.THESE TERMS AND CONDITIONS INCLUDE A WAIVER OF CERTAIN RIGHTS, INCLUDING TO SUE IN COURT OR TO PURSUE A CLASS ACTION. o “Administrator”means any company we engage to provide administrative services for the Program. The Program is a service of Neighbourhood Group of Companies managed by Administrators who are solely responsible for the administrative services for the Program. o “Member”means the person identified in our records as the holder (or owner) of the Rewards Account. o “Neighbourhood Group of Companies,” “NGC”, “we,” “our,” “ours,”and“us”refer to Neighbourhood Group and all of its affiliates and subsidiaries, or its and their assignees. o “Rewards Account”refers to the record of the points and other offers you have earned and redeemed through the Program. o “Suppliers”mean any independent third party that we or the Administrator engages to provide services, Rewards, or other benefits for the Program. o “You”and“your”refer to any person or entity participating in the Program. To be eligible to create a Rewards Account, participate in the Program and earn and redeem Rewards, you must be at least 18 years of age and have a valid email address and mobile phone number. A Rewards Account is unique to the individual Member holding the account and may be associated only with a single email address and mobile phone number. The same mobile phone number may not be associated with more than one Rewards Account, nor may the same email address be associated with more than one Rewards Account. The Dine Rewards Member or immediate family member of the Member must be present to earn rewards for the transaction. In addition, at NRG’s sole discretion and without the necessity of notice to you, Rewards Accounts created in violation of these requirements are subject to suspension until such accounts are brought into compliance by the Member, and/or such accounts and associated Rewards may be modified by NRG to bring such Rewards Accounts into compliance.  Program Members may earn and redeem rewards only at Park Grocery Deli & Bar and is subject to change from time to time at the Neighbourhood Group of Companies discretion. You may enroll in the Program by visiting our Website and following the enrollment instructions. Each Member will have access to a personal Rewards Account page during the course of his/her membership. You may access your Rewards Account, by visiting the Website, and signing in to your account. It is your sole responsibility to safeguard any passwords associated with your Rewards Account and to make sure that your contact information in your Rewards Account remains current and complete; Neighbourhood Group of Companies disclaims any responsibility for the accuracy of a Member’s Rewards Account contact information. Once you have successfully enrolled in the Neighbourhood Club Program, you may begin earning Rewards by performing the qualifying activities described below. You will not receive credit for any activity that occurred prior to your enrollment. You may continue to earn Rewards so long as NGC, in its sole discretion, determines that you are eligible for participation in the Program. You can check the status of your rewards by viewing your account dashboardhere. As long as there is account activity (earned points or redeemed points) within a 12 month span your earned points do not expire. If there is zero account activity (earned or redeemed) within a 12 month span your earned points will expire. From time to time we may award bonus Rewards for other activities or purchases. The terms and conditions for each award may vary, including how bonus Rewards are earned, how the activity or purchase amount eligible for bonus Rewards is determined, and when the applicable Reward expires. Any such Reward will be subject to these Terms and Conditions and any additional terms and conditions applicable to the Reward. Rewards will be credited to your Rewards Account within 24-48 hours from the time they are earned. You can check the status of your rewards by viewing your account dashboardhere. You must report any errors in your Rewards Account that are related to Rewards earned, adjusted or redeemed within thirty (30) days after the date the error appears on the account. We have no obligation to correct any errors reported after this 30-day period and any such corrections will be made at our sole discretion. To receive credit for a missing points, an itemized receipt or credit card payment receipt that contains the date of the visit and the total amount spent must be submitted. A Member can submit the request by contacting our Rewards Service Centre at 519.836.3948. In order to receive credit, you must be a registered Member at the time of the visit. We will not be liable for any damages resulting from any failure to credit Rewards to your Rewards Account in a timely manner. You can redeem a Reward only if your Rewards Account shows that you have the required number of points for that particular Reward. When you redeem a Reward, we will subtract the Points from your total accumulated balance as shown on your Rewards Account. Points that have not yet been credited to your Rewards Account are not available and cannot be redeemed until such time as they have been credited to your account. Members may earn only those Rewards described on the Program Website, as may change from time to time at our sole discretion. From time to time, we may send you electronic updates of your points status. All Rewards are subject to availability, have no cash value, are non-transferable, and cannot be purchased or sold for cash. Additional restrictions may apply. Neighbourhood Group of Companies and the Administrator may alter, substitute, withdraw, change, discontinue, temporarily suspend, terminate or replace any Reward for any reason at any time without notice to you. Neither the Administrator, Suppliers, nor NGC guarantees or represents that any specific Reward will be available for any particular length of time. Neither the Administrator, Suppliers, nor NGC will be responsible for errors, omissions, or delays in the handling or delivery of Rewards. You will be responsible for any taxes resulting from your earning or redeeming Rewards. The Program is offered at the sole discretion of NRG. We reserve the right, in our sole discretion and at any time: (a) to terminate or suspend the Program, in whole or in part; and (b) to add, delete, or otherwise change any of the Terms and Conditions, including changes to fees and charges, changes to the activities by which Rewards may be earned, and changes that may reduce or cancel the redemption value of Rewards credited but not yet redeemed. If we change the Terms and Conditions to provide Rewards for a new activity, no Rewards will be awarded for any activity that occurred prior to the effective date of the change. We may change the Terms and Conditions without prior notice to you, but the current version of the Terms and Conditions will be posted on the Park Grocery Website. By continuing to participate in the Program following any change in the Terms and Conditions, you are accepting the changes to the Terms and Conditions. In addition, we reserve the right to terminate your participation in the Program and to invalidate all or a portion of your Rewards balance, whether or not credited to your Rewards Account (a) in the event of any abuse or fraud relating to the earning or redemption of Rewards, and/or any violation of the Terms and Conditions (including any attempt to sell, exchange, encumber or transfer Rewards); or (b) for your failure to meet eligibility requirements. We reserve the right, in our sole discretion, to determine whether termination or disqualification is appropriate.We reserve the right to deny access to your account or account history in the event your account is terminated. These rights are in addition to any other legal or equitable remedy that may be available to NRG under applicable law. The Administrator and the Suppliers are independent contractors and are not affiliated with NGC. NGC, the Administrator and Suppliers do not warrant the quality, merchantability, or fitness for a particular purpose of any Rewards you procure. NGC, the Administrator, and the Suppliers will not be liable or responsible for any loss, damage or injury to property or person that may arise or result from participating in the Program, redeeming Rewards, or using Rewards or by any cause, condition or event beyond the control of NRG, the Administrator or the Supplier. NRG is not responsible and shall not have any liability for typographical errors and/or omissions in any Program materials. NRG and the Administrator reserve the right to adjust your Rewards Account at any time to correct any incorrect Reward balance, including the right to reverse any Rewards that were credited in error and/or not legitimately earned in accordance with these Terms and Conditions. NRG decisions regarding the interpretation of these Terms and Conditions and the awarding of Rewards shall be at its sole discretion, shall be final and not subject to appeal. By using the Website, becoming a Member or redeeming a Reward, you hereby agree to release, discharge, and hold harmless NRG, Administrator, Suppliers and their respective officers, directors, employees and agents (collectively, the “Released Parties”) from any and all liability for claims resulting from any acts or omissions of the Released Parties in providing or failing to provide services in connection with the Program, and from any cause, condition or event beyond the control of NRG, Administrator or Supplier. You also agree to release, discharge, and hold harmless the Released Parties from all liability for any accident, injury, claims, damages, loss, expense, inconvenience or damages, arising out of: (a) your participation in, or failure to participate in, the Program, (b) the use of or defect in any Reward. IN NO EVENT WILL RELEASED PARTIES BE RESPONSIBLE OR LIABLE FOR ANY DAMAGES OR LOSSES OF ANY KIND, INCLUDING INDIRECT, INCIDENTAL, CONSEQUENTIAL OR PUNITIVE DAMAGES ARISING OUT OF YOUR ACCESS TO AND USE OF THE WEBSITE AND PARTICIPATION IN THE PROGRAM. WITHOUT LIMITING THE FOREGOING, EVERYTHING ON THE WEBSITE IS PROVIDED “AS IS” WITHOUT WARRANTY OF ANY KIND, EITHER EXPRESS OR IMPLIED, INCLUDING, BUT NOT LIMITED TO, IMPLIED WARRANTIES OF MERCHANTABILITY, FITNESS FOR A PARTICULAR PURPOSE OR NON-INFRINGEMENT. SOME JURISDICTIONS MAY NOT ALLOW LIMITATIONS OR EXCLUSION OF LIABILITY FOR INCIDENTAL OR CONSEQUENTIAL DAMAGES OR EXCLUSION OF IMPLIED WARRANTIES, SO SOME OF THE ABOVE LIMITATIONS OR EXCLUSIONS MAY NOT APPLY TO YOU. CHECK YOUR LOCAL LAWS FOR ANY RESTRICTIONS OR LIMITATIONS REGARDING THESE LIMITATIONS OR EXCLUSIONS. The sole extent of Released Parties’ liability, if at all, shall not exceed the actual retail value of the Reward in dispute. You agree that any claim under these Terms and Conditions must be brought within six (6) months after the cause of action arises, or such claim or cause of action shall be barred. You may not transfer or assign your Rewards or any other Program benefits. We may communicate with you regarding any matter related to the Program by mail, telephone or electronic communications, including e-mails. You consent to the receipt of all Rewards, correspondence, transaction confirmations and other information from us electronically through access to the Program Website, your Rewards Account on the Program Website or the email address provided by you to us. We will not be responsible for your inability to connect to the Internet or to access the Program Website or otherwise not to receive electronic communications. Electronic communications are presumed to be delivered to and received by you when sent by us, whether actually received or not. 176 Woolwich Street, Guelph, Ontario N1H 3V5. o You agree that you will not take any legal action, including filing a lawsuit or demanding arbitration, until fifteen (15) business days after you send this Demand. o You agree that you will not file any lawsuit against us in any province or federal court. You waive any right to a trial by a jury or a provincial judge. You agree that if you do sue us and we bring a successful motion to compel arbitration, you must pay all fees and costs incurred by us in court, including reasonable attorney’s fees. You agree that you will not file a class action or collective action against us, and that you will not participate in a class action or collective action against us. You agree that you will not join your claims to those of any other person. Notwithstanding any other provision in these Terms and Conditions, if this class action waiver is invalidated, then the agreement to arbitrate is null and void, as though it were never entered into. Any dispute at that time in arbitration will be dismissed without prejudice and refiled in a court. Under no circumstances do you or we agree to class or collective procedures in arbitration or the joinder of claims in arbitration. o We agree that we will not file a class or collective action against you, and that we will not participate in a class or collective action against you, for any disagreement arising out of, connected to, or in any way related to these Terms and Conditions and/or Program. We agree that we will submit all disputes with you to arbitration before the Arbitrator. o Notwithstanding any other provision herein, you will not be bound by any changes we make to this Section unless you are provided prior notice by mail, e-mail, text, or other direct notification and do not cancel your enrollment. If you do cancel your enrollment in the Program, you will still be bound to the most recent Terms and Conditions operative when your enrollment was active. These Terms and Conditions constitute the sole and entire agreement between you and us with respect to the Program and your participation in it, and any and all prior agreements with respect to any other rewards program are superseded by these Terms and Conditions. These Terms and Conditions and the Program are governed by the provincial laws, without regard to its conflicts of law principles. Our failure to exercise or enforce any right or provision of the Terms and Conditions shall not constitute a waiver of such right or provision. If any provision of the Terms and Conditions is found by a court of competent jurisdiction to be invalid, you and we agree that the court should endeavor to give effect to your and our intentions as reflected in the provision, and that the other provisions of the Terms and Conditions remain in full force and effect.